The Justice Department on Thursday announced a record-setting takedown of doctors, nurses and health insurance employees suspected of false billing to Medicare, charging 243 individuals representing a total of $712 million in fraud. The nationwide sweep represents the largest action to date measured in dollars and people charged in the history of the Medicare Fraud Strike Force formally run since 2009 by Justice, the FBI, and the Health and Human Services Department. The same day, HHS’ Centers for Medicare & Medicaid Services suspended an array of health providers for fraud using new powers under the Affordable Care Act. The two Cabinet members were joined in a public announcement by FBI Director James Comey, Assistant Attorney General Leslie Caldwell of the Criminal Division, Inspector General Daniel Levinson of the HHS Office of Inspector General and Deputy Administrator and Director of CMS’ Center for Program Integrity Dr. Shantanu Agrawal. Specific charges include conspiracy to commit health care fraud, violations of the anti-kickback statutes, money laundering and aggravated identity theft, Justice said. The charges are based on a variety of alleged fraud schemes involving medical treatments and services, including home health care, psychotherapy, physical and occupational therapy, durable medical equipment and pharmacy fraud. 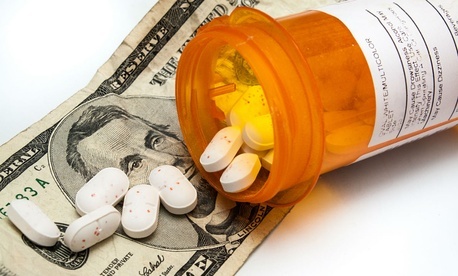 More than 44 of the defendants are charged with fraud related to the Medicare prescription drug benefit program known as Part D, the fastest-growing part of the Medicare program. The defendants are primarily from Houston, Dallas, Miami, Detroit, Brooklyn, New Orleans and Los Angeles. Since they were launched in March 2007, Strike Force operations in nine locations have charged more than 2,300 defendants who collectively have falsely billed Medicare for more than $7 billion, Justice reported. The officials stressed that the new health law clarified that, for sentencing purposes, the loss is determined by the amount billed to Medicare. The law also increased the sentencing guidelines for the billed amounts, “which has provided a strong deterrent effect due to increased prison time, particularly in the most egregious cases,” Justice said.